THRESHOLD – announce “The Legend Continues Tour 2019”! UK progressive metal quintet THRESHOLD released their highly successful double concept album »Legends Of The Shires« (#13 Germany, #14 Switzerland, #31 Austria etc.) on September 8th, 2017 through Nuclear Blast, followed by extensive touring that included two European runs. 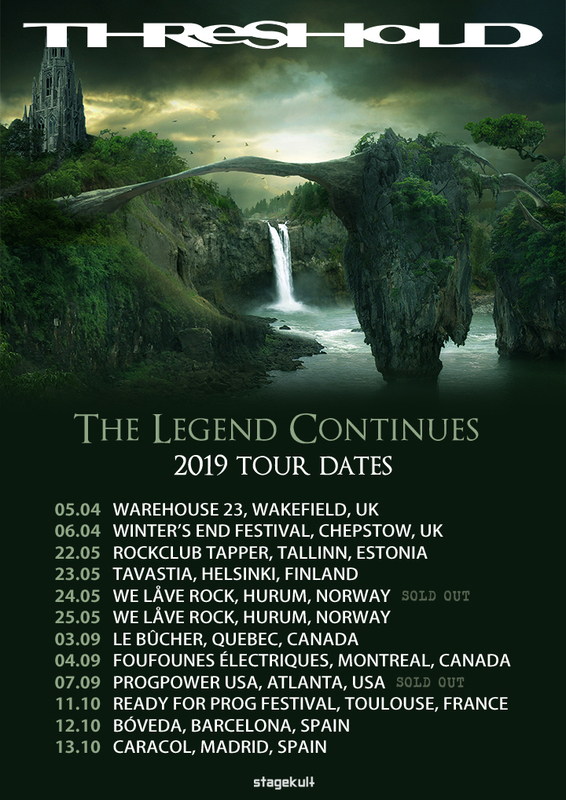 Today the band is pleased to announce their »The Legend Continues Tour 2019« in support of the aforementioned record, incl. three shows in North America. Godhead Machinery released a new single from their soon to be released second album!